This example projects shows how to use either mechanically limited or mechanically unlimited knobs to provide analog input for your virtual device. Mechanically limited knobs are configured with a range of mechanical angles specified, and provides a double-precision value that linearly interpolates from the lower and upper mechanical angles to a specified lower and upper output value. Unlimited knobs can be rotated indefinitely, and updates a double-precision value based on rotation angle deltas. This knob is configured by specifying a mechanical angle-to-value ratio. 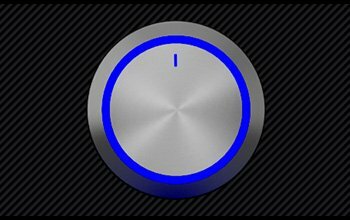 The value can also be coerced to stay within a range, however the knob will mechanically rotate independently, like a volume knob on a stereo system.